Tucson grew leaps and bounds in the post war years of the 1950s and 1960s. As a result mid-century architecture is ubiquitous here. Mid-century Modern architecture has become more popular with a younger generation looking for clean lines and interesting details that are often not found in standard track homes built today. Many enjoy these homes because they are in established neighborhoods, which tend to be more centrally located and feature plenty of mature trees. Are you looking for a mid-century home in Tucson? Let this page be your guide. Who were some of the movers and shakers (i.e. builders, architects, designers) for Tucson mid century homes? Where are some of the Tucson mid century neighborhoods located? What features might I find in a mid century house? 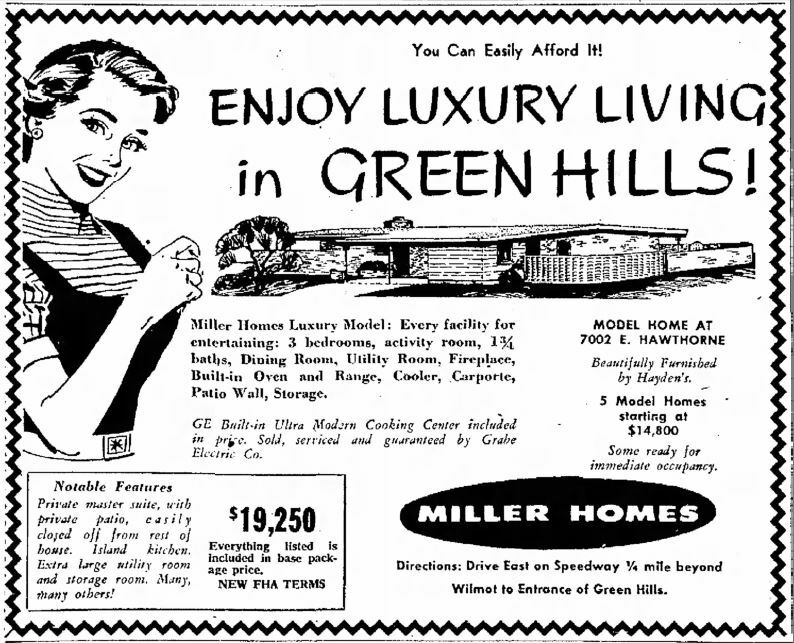 Mid-century homes were built between 1945-1975. This is a broad time period so there were a lot of different styles that were popular over the years. Ranch style homes are ubiquitous during this time period. Ranch homes could veer towards the more modern range of the spectrum or toward the more traditional side. Just as styles of furnishings during this time ranged from Colonial to Danish to Mediterranean to Modern, houses, too, followed these same style trends. Here’s some of the things you may find in a Tucson mid century home.